1 Heat oven to 350°F. Spray 13x9-inch pan with cooking spray. 2 In large bowl, mix cookie mix, softened butter, cream cheese and egg with spoon until soft dough forms. Spread dough evenly in bottom of pan; sprinkle sugar over top. 3 Bake 19 to 23 minutes or until light golden brown. Using end of wooden spoon, immediately make 40 (1/2-inch) indentations in baked bar (8 rows by 5 rows) without going through to bottom of pan. Clean off end of wooden spoon with paper towel as needed. 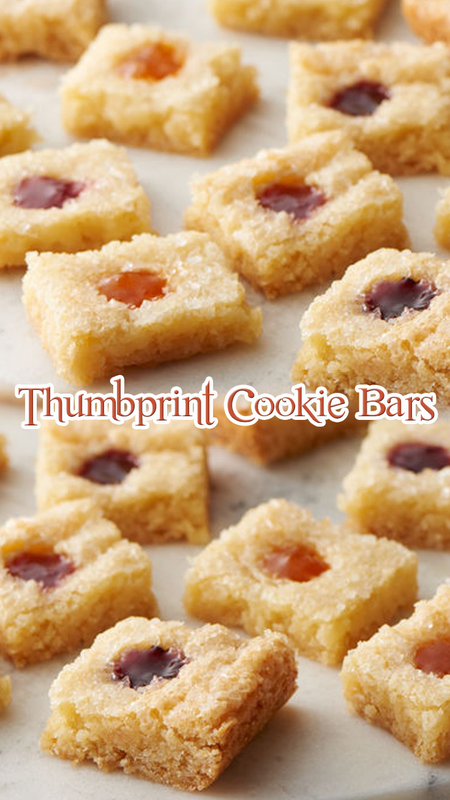 Fill each opening with 1/4 teaspoon jam. Cool completely, about 1 hour. 4 Cut bars into 8 rows by 5 rows so jam is in center of each piece. Remove bars from pan. Store covered in airtight container in single layer.